The Evans System Blue snare head was designed in collaboration with Scott Johnson of the world renowned Blue Devils drum and bugle corps. It features a softer feel yet maintains the tonal clarity and projection necessary for a championship winning drum corps. Snare lines will benefit from reduced fatigue during extended when using these drumheads. 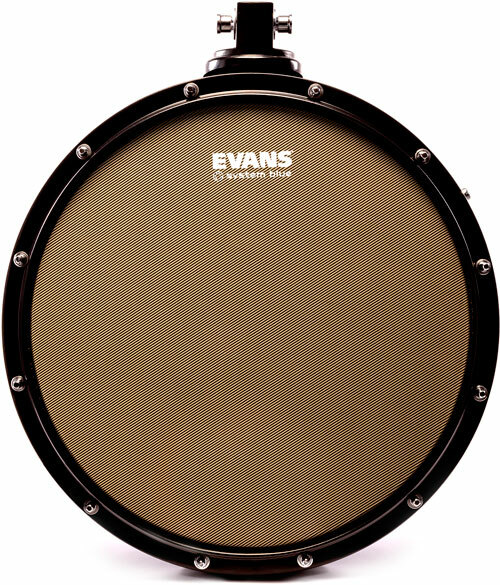 Evans System Blue tenor heads feature a 2-ply design with 7mil top-ply and 7.5mil bottom. This combination delivers tonal clarity and projection while also increasing durability and pitch stability, reducing the need for frequent tuning. 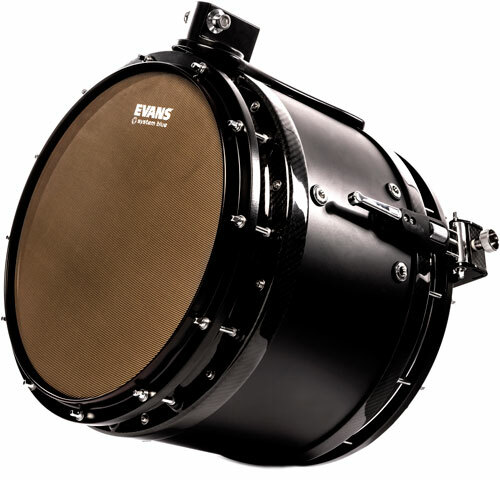 The series also utilizes Evans' unique Sound Shaping Technology™, a damping technique that targets unwanted overtones and provides the control needed to enhance attack, projection, and note definition. The damping pattern on each head also provides a visual reference for the optimal 'playing zone' for each drum, offering a target for less experienced lines.